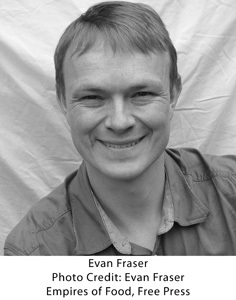 EVAN D.G. FRASER is an adjunct professor of geography at the University of Guelph in Ontario, Canada, and Senior Lecturer at the School of Earth and Environment at the University of Leeds in the UK. His research is on farming, climate change, and the environment. He lives in Yorkshire Dales with his wife and children.